There is one big difference between this and many other vegan cookbooks. These dishes do not use replacement ingredients for traditional recipes. 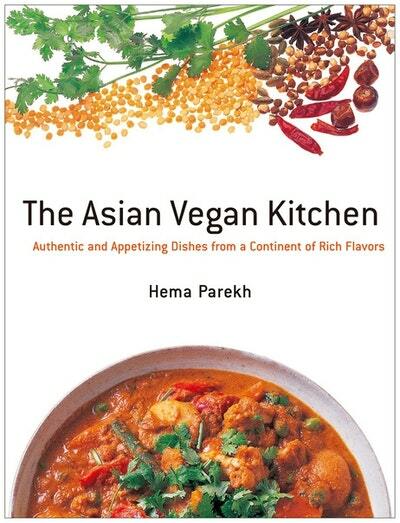 Instead, author Hema Parekh – a noted teacher of vegetarian cooking styles in Tokyo – has selected recipes that were traditionally vegetarian, and have been enjoyed by diners for decades, even centuries. In doing so, she has had to make only minor changes, if any, for these recipes to be deliciously appealing to everyone: vegan, vegetarian or otherwise. Over 200 dishes have been selected to cover a wide variety of tastes. Here readers will find vegan-ready recipes for everything from Japan’s sushi to northern Indian curries, from Vietnamese spring rolls, to red-hot tofu, Chinese-style. Soups, noodle dishes and some desserts are also included. A long-time vegetarian, Hema Parekh has been teaching vegetarian cooking in Tokyo for almost twenty years. She has written two popular books on vegetarian cooking in Japanese – A Touch of Spice and Indian Vegetarian Cooking – and is working on a third. Love The Asian Vegan Kitchen? Subscribe to Read More to find out about similar books.